Liz Schrayer serves as President & CEO of the U.S. Global Leadership Coalition (USGLC), a broad based coalition of over 500 businesses and NGOs that advocates for strong U.S. global leadership through development and diplomacy. Under her leadership, the USGLC has grown to a nationwide network of advocates in all 50 states and boasts a bipartisan Advisory Council, chaired by General Colin Powell which includes every living former Secretary of State, and a National Security Advisory Council consisting of nearly 200 retired three and four-star generals and admirals. In addition to running the USGLC, Ms. Schrayer serves as President of Schrayer & Associates, Inc., a nationwide political consulting firm founded in 1994, which works on a wide range of domestic and international issues. 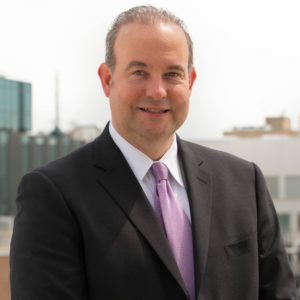 Jason Gross serves as Executive Director of the USGLC, tapping over 20 years of public policy, Capitol Hill and Presidential campaign experience to oversee day-to-day operations of the nationwide coalition. Prior to rejoining the USGLC, Gross served nine years as Chief of Staff to U.S. Representative Joe Courtney of Connecticut. Gross launched Courtney’s office in the House and led the office from a razor-thin 83 vote victory in 2006 to four strong reelections and Courtney being named Congress’s 8th highest over-performing Democrat by the Cook Political Report in 2014. Previously, Gross became the USGLC’s first full-time employee in 2001 and contributed to the organization’s growth from nascent coalition to established organization in six years as Managing Director. Lindsay Lee Plack serves as Senior Director at the USGLC where she oversees the Government Relations, Outreach, and Policy divisions of the organization and USGLC’s engagement with policymakers and stakeholders in Washington and around the country. Lindsay joins the USGLC from the Glover Park Group where she spent five and a half years managing government and public affairs work for a range of internationally-focused clients, including foreign governments, non-profits, and multinational corporations. She also served as a Senior Lobbyist at The Oldaker Group. Prior to joining the private sector, Lindsay worked on Capitol Hill for Congressman Joe Knollenberg (R-MI) and managed his national security, foreign policy, and related appropriations portfolios. Lindsay also has extensive campaign experience working on and managing campaigns at the local, state, and national level. Lindsay holds a bachelor’s degree from Saint Mary’s College – Notre Dame, and lives with her husband in Alexandria, Virginia. Ariana joins the USGLC with nearly ten years of federal government experience working on foreign policy and national security issues. Most recently, Ariana served as the Director of Senate Affairs in the Department of State’s Bureau of Legislative Affairs. In this capacity, she advised the Department on how to advance U.S. foreign policy, national security, and development priorities in Congress and managed the Department’s relationship with the U.S. Senate. Prior to joining the State Department, Ariana served as the Foreign Policy and Defense Advisor to Senator Barbara Boxer (D-CA) responsible for the Senator’s foreign policy, national security, and related appropriations portfolios. A native of Syracuse, New York, Ariana spent a year studying in Paris, France, before earning her bachelor’s degree in International Studies with a minor in French Literature from Johns Hopkins University. Mary joins the USGLC from InterAction, where she worked with the Public Policy Team on federal budget analysis and food security advocacy. Before InterAction, Mary served as a foreign policy fellow in the office of Senator Robert P. Casey, Jr. (D-PA), where she helped draft and negotiate the 2014 Global Food Security Act. Prior to her experience in the Senate, she served in the Washington, DC office of Human Rights Watch where she facilitated advocacy to the U.S. government and investigated protections for refugees. Mary holds a B.A. in international relations from the College of William and Mary and a J.D. from Penn State University’s Dickinson School of Law. Poorvie Patel joins the USGLC from the BGR Group, where she worked on international affairs and defense issues for several clients and principal lobbyists. Prior to that, she served in the Office of the UN Special Representative on Sexual Violence in Conflict at the UN Secretariat in New York. Poorvie has also worked on several political campaigns, as well as providing programmatic support and research on nuclear nonproliferation issues at the Stimson Center. She holds a Master’s Degree in diplomacy and international commerce from the University of Kentucky and a Bachelor’s Degree in political science from Western Kentucky University, where she spent her final semester studying at Vesalius College in Brussels, Belgium while working with the Fulbright Commission. A transplant to Washington DC, Poorvie is a proud Kentuckian, where she has lived most of her life. Derek Gianino serves as National Engagement Director, having recently rejoined the organization after serving USGLC for four years first as National Outreach Director and later as Director of Strategic Initiatives. In between his tenure at USGLC, Derek was Director of International Policy at the U.S. Chamber of Commerce. In his role, he was responsible for promoting the Chamber’s international trade agenda, working with and managing grassroots supporters, third party stakeholders, strategic alliances, state and local chambers of commerce, and a wide array of businesses, including small and medium-sized exporters. Ariella joins the USGLC from Governor Greg Abbott’s campaign, where she served as Political Coordinator. She earned her master’s degree in politics and communications from the London School of Economics and her bachelor’s degree in criminology and criminal justice from the University of Maryland. Her background also includes experience as a Teaching Assistant at the University of Maryland, an intern for the Republican Jewish Coalition, the Republican Leadership Initiative, the Republican National Committee, the Jerusalem Center for Public Affairs, and in the Office of Congressman Scott Rigell of Virginia. Ariella is originally from Atlanta, and has spent time living in Connecticut, Maryland, Texas, and London. Carey comes to the USGLC from her previous position as Chief of Staff to the South Carolina House of Representatives Deputy Minority Leader James Smith, where she oversaw all political and legislative priorities. Her previous experience includes serving as South Carolina Deputy Political Director for the Hillary for President campaign during the 2008 primaries and a former lobbyist for a South Carolina education organization. Carey has worked on numerous political campaigns at the local, state, and presidential level overseeing field, fundraising, and policy development. She graduated with honors from the University of South Carolina, where she focused on political science. She is a native of Native of Decatur, AL and spent several years in Nashville, TN. Alex joins the USGLC from the National Association of Broadcasters’ Political Action Committee (NABPAC), where he served as Senior Manager. At NABPAC, his responsibilities included expanding the visibility and size of the PAC, recruiting new donors, managing communications, and working with leaders of the broadcast industry to engage with key stakeholders. His previous experiences include serving as Campaign Manager for a congressional campaign in Indiana during the 2012 cycle, as a PAC Compliance Specialist at Vocus, Inc., and as Finance Director and Legislative Aide for Congressman Steven R. Rothman (D-NJ-09). A native of Rustburg, Virginia, Alex received his Bachelor of Arts in government & international relations from George Mason University, and holds a Master of Professional Studies in political management from George Washington University. J.M. joins the USGLC after serving as Government Relations Officer at National Peace Corps Association (NPCA), where J.M. strengthened the organization’s Capitol Hill, grasstops and grassroots advocacy efforts, and led the #ProtectPeaceCorps campaign. Prior to joining NPCA, J.M. was a Peace Corps Volunteer for three years in northern and southern Thailand. He also taught ESL in South Korea and Vietnam, and was an AmeriCorps VISTA volunteer in Seattle. J.M. grew up all over Montgomery County, MD, and graduated from Auburn University with a B.A. in history. Prior to joining the USGLC, Jonathan worked in Texas as a member of Senator John Cornyn’s staff with a focus on Department of State and Department of Homeland Security issues. Prior to his time in a congressional office, Jonathan lived and worked in Barcelona, Spain. After earning his M.A. in international relations from the Institut Barcelona d’Estudis Internacionals, he worked with the Global University Network for Innovation to advocate for higher education reform as well as working on reestablishing higher education systems in areas affected by conflict or upheaval. He earned his B.A. from Louisiana State University and is a proud native of Nashville, Tennessee. Will joins USGLC from the U.S. Department of the Interior, where he served as the Lead Advance Representative for Secretary Sally Jewell. In that role, Will coordinated the Secretary’s major events, speaking engagements, and meetings with key stakeholders both domestically and abroad. Prior to this position, Will served as the Deputy District Director for U.S. Representative Bruce Braley of Iowa, managing the Congressman’s district outreach, constituent services, and major events. He worked in a political outreach role on Congressman Braley’s successful 2012 reelection campaign, and he served as the Deputy Political Director for his 2014 U.S. Senate race. Will also has previous experience as an Account Executive at Cambridge Global Advisors, assisting clients with strategic communications and stakeholder outreach. A proud native of Waterloo, Iowa, Will is a graduate of Loras College where he received his B.A. in politics and international studies. Sean joins USGLC from the Democratic National Committee where he managed a nationwide team of staff and volunteers during the 2016 election. At the DNC, Sean supported the research and communications departments by providing real time updates from thousands of campaign events across the country. His earlier experience includes roles such as Regional Field Director for Rep. Patrick Murphy (FL) and Veteran Field Organizer for the Truman National Security Project. Sean is a veteran of the US Marine Corps, having earned the rank of Sergeant while serving at the historic Marine Barracks Washington, DC. Sean holds a B.A. in political science from the University of South Florida and is a proud USF Bull. Jeremy comes to the USGLC from the Office of U.S. Senator Tim Scott (R-SC). During his tenure there, he focused his efforts on military affairs outreach, directed the Military Academy Nominations Program and served as the Senator’s liaison to various groups and organizations. In addition, he was involved with Department of State issues and organized and directed major events. To date, he has worked for two U.S. Senators and has been a part of several federal campaigns, including the historic election of Tim Scott, who became the South’s first African-American Senator since Reconstruction. He is a graduate of Clemson University where he served as the Governmental Affairs Director and advocated for higher education on behalf of Clemson’s undergraduate student body. Jeremy is a proud native of Greenville, South Carolina. Luke joins the USGLC after serving as Deputy District Director for Representative Jeff Fortenberry of Nebraska. During his tenure with Congressman Fortenberry, Luke served as Campaign Manager, and also managed district staff and spearheaded outreach initiatives throughout the state. Earlier, Luke interned in Congressman David Schweikert’s office in Arizona and was a research intern for the Kayany Foundation in Lebanon. Luke attended Nebraska Wesleyan University, where he studied political theory and the philosophy of religion. Luke will be based in Phoenix as he executes USGLC’s Western outreach. Liz joins USGLC from the office of U.S. Senator Cory Booker, where she served as a Staff Assistant. In Senator Booker’s office, she interacted with constituents, coordinated tours, and provided assistance to the legislative staff. She also interned for U.S. Senator Robert Menendez in Washington, DC, and for the mayor of her hometown, Summit, NJ. Liz graduated from Dickinson College in Carlisle, PA with a Bachelor of Arts in political science and a minor in history. During her time at Dickinson, Liz studied abroad in Copenhagen, Denmark, where she focused on justice and human rights. Madeleine comes to USGLC from her previous role at the Bill & Melinda Gates Foundation, where she served as a Program Assistant for two years. In this position, Madeleine provided support to the strategic thinking, planning and development of the Global Policy and Advocacy team, strengthening programs and lifting individuals out of poverty around the world. Prior to joining the Gates Foundation, Madeleine worked for SightLife, a Global Health organization working to eliminate corneal blindness. A transplant to Washington, DC from the Pacific Northwest, Madeleine grew up in Portland, Oregon and moved to Seattle, Washington to study political science and global health at the University of Washington. Danny joins USGLC from Duane Morris Government Strategies in Pittsburgh where he supported government affairs advocacy at the local, state and federal level. Danny was an enlisted Marine from 2006-2010 and served throughout the Pacific region where he participated in several humanitarian operations. After an honorable discharge, he attended The Ohio State University before working as a reporter for The Youngstown Vindicator and an Associate Editor at Cincy Magazine in Cincinnati. In July 2017, Danny completed a fellowship with The Mission Continues, a program that places Post-9/11 veterans in various nonprofits to support community improvement efforts. As part of his fellowship, Danny worked as an Outreach Coordinator for PublicSource, a nonprofit media entity in Pittsburgh dedicated to public service journalism in the region. Danny has a B.A. in journalism with a minor in international studies from OSU and an M.A. in communications from Duquesne University. Robert joins the USGLC after completing a fellowship with the office of Senator Joe Donnelly where he focused on the FY ‘18 National Defense Authorization Act. He’s worked on a variety of international security issues while interning with the Security Assistance Monitor at the Center for International Policy and the Center for Political-Military Analysis at the Hudson Institute. As a student, he studied Arabic in Morocco, the Western Sahara, and at the American University of Beirut in Lebanon. Robert holds a bachelor’s degree from DePauw University and a master’s degree in international studies from the University of Denver. Rob comes to the USGLC after managing and working on state-level campaigns in Northern Virginia. He also served as a Legislative Aide for the Virginia House of Delegates’ Majority Caucus Chairman, where he managed correspondence, maintained the Delegate’s schedule, and assisted with legislative activities during the 2016 and 2017 General Assembly Sessions in Richmond. After graduating from George Mason University in 2013, Rob worked as a carpenter in the Washington, D.C. area while he finished an internship in the U.S. House of Representatives, and volunteered on various federal, state, and local political campaigns throughout Virginia. He holds a Bachelor of Arts degree in global affairs, with concentrations on global governance and economics. After growing up all over the United States, mainly in New Mexico and Virginia Beach, Rob is happy to call Northern Virginia home. Landon joins the USGLC Outreach team after serving as the organization’s Development Intern. Prior to his internship with USGLC, Landon interned in the office of Rep. Jody Hice, where he drafted constituent correspondence, helped manage the Congressman’s social media platforms, and provided assistance to the legislative staff. Landon also worked as a Research Assistant with the Laboratory for Unconventional Conflict Analysis and Simulation at Duke University, focusing on Latin America and the Middle East. He holds a bachelor’s degree in political science from Duke University. Landon is a proud native of Savannah, Georgia, but is excited to be working in the nation’s capital. Taylor arrives to the USGLC team as a former Executive Production Assistant with PZAZZ productions, where she interacted with a variety of clients and managed communication with stakeholders throughout the entertainment industry. Chosen as a 2017 Caux Scholar, Taylor conducted research in Human Security and Peacebuilding while facilitating several conferences in Switzerland. Taylor holds a bachelor’s degree in political science and international affairs from Florida State University. As a student, Taylor served as the Director of the World Affairs Program, and was recognized for her performance in Model United Nations competitions. Sidney joins the USGLC after a decade of experience in communications, policy and advocacy in the US, Europe, Asia and Africa. He most recently led the national press outreach and digital campaign efforts on immigration and refugee issues for Church World Service’s DC office. Prior to returning to DC, he worked in the international humanitarian and development sector in Geneva with the ACT Alliance, after which he was based in Afghanistan, Pakistan and Thailand with Church World Service. A DC native, Sidney received his undergraduate degree from American University and more recently earned his Master’s in international peace and security from the War Studies Department at King’s College London. Jennie joins the USGLC from Gavi, the Vaccine Alliance, where she served as manager of North American communication. Prior to joining Gavi, Jennie held various roles in writing and media-relations, including a year-long communications fellowship at the National Cancer Institute (NIH). She spent the early part of her career as a producer at CNN in New York. A Connecticut native, Jennie received her undergraduate degree in English from Duke University. She holds a Master of Public Health with a focus on health communication from the University of Southern California. Joan joins the USGLC as a newly minted Master in Global Communications from the American University of Paris. Prior to her studies in Paris, Joan worked in development communications for Abt Associates’ International Economic Growth division supporting projects in countries such as Ghana, Indonesia and Mexico. Joan is fluent in French and holds a B.A. in English and political science from the University of Florida. She is originally from Orlando, Florida and resided in France before returning to Washington, D.C.
Allison comes to the USGLC from the private sector, where she served as Marketing and Public Relations Writer for Wolfram Research International. There, she covered a wide array of communications projects, with a primary focus on consumer outreach and education. She helped with the partnership between The Raspberry Pi Foundation and Wolfram Research International, and provided on-site communications support at the 2013 Computer-Based Math Summit. With a distinctive degree in both physics and film/media arts from American University, she is skilled in both technical and non-technical aspects of communications. While originally from Long Island, NY, she much prefers DC to New York City. Carrie joins the USGLC from Project: Time Off where she supported research and communications efforts for a national behavioral-change campaign. Prior to working with Project: Time Off, she served as a digital producer at NBC ahead of and during the 2016 Rio Olympic Games. She holds a B.A. in journalism and English from Duquesne University and a M. Sc. in journalism from Columbia University. Originally from Northern Virginia, Carrie is happy to call Washington D.C. home. Matt joins the USGLC after working in various communications roles, including as a Press Intern for the Office of Senator Kirsten Gillibrand. While studying multilateral institutions in Brussels, Belgium, Matt researched Russian influence in the European energy market as an intern with the European nuclear energy industry. A native of Frederick, Maryland, Matt recently received his bachelor’s degree in political science and interdisciplinary studies with a focus in communications from American University in Washington, DC. Emily Benovitz joined the USGLC in September 2011 and currently oversees the organization’s programming in DC and across the country. Prior to the USGLC, she spent over two years at The American Israel Public Affairs Committee, where she managed lobbying activity for AIPAC’s top political activists, and helped educate members of Congress and their staff on the importance of a strong U.S. – Israel relationship. She has previous experience working at an education non-profit in DC and interning on Capitol Hill. Emily received her bachelor’s degree in political science from the University of Michigan and is a native of Louisville, Kentucky. Emily came to the USGLC in 2012 as a Program Assistant and today serves as the organization’s Deputy Program Director. Prior to joining USGLC, Emily held various roles in communications and event management at The British Embassy, Vital Voices, and Biotechnology Innovation Organization. Emily received her bachelor’s degree in International Relations from American University, where she specialized in U.S. foreign policy and national security, and spent four months studying in St. Petersburg, Russia. A native of Burlington, Vermont, Emily has called DC home since 2007. Maryeliz arrives at USGLC after four years of work on Capitol Hill as a Legislative Correspondent, Intern Coordinator, and Staff Assistant for Congresswoman Katherine Clark of Massachusetts, as well as an Intern for the House Energy and Commerce Committee. In addition to her work on the Hill, Maryeliz served as Club Finance Director at American University overseeing funding and event planning for student clubs. She earned a Political Science degree from American University with a minor in Computer Science and studied abroad in Hong Kong to further her focus on Chinese strategic relationships. Even as a DC resident since 2013, Maryeliz will always consider Massachusetts to be home. Tyler joins the USGLC from the Mellinger Group, a political consulting firm where he worked with numerous clients running for state and federal office on planning events and executing fundraising strategy. Prior to joining the Mellinger Group, Tyler worked as a Marketing Coordinator at NDM Communications in Orange County, California. Tyler served as a White House Intern in the Obama Administration, first working in the Office of Intergovernmental Affairs, serving as a liaison to our nation’s mayors and city councilmembers, and again at the White House Council on Environmental Quality on the Public Engagement team. A native of the Tampa Bay area, Tyler holds a B.A. in political science from the University of South Florida and is also a proud Eagle Scout. John K. Glenn is Policy Director of the U.S. Global Leadership Coalition. He joins the USGLC after serving as Director of Foreign Policy at the German Marshall Fund of the United States, where he led Transatlantic Trends, an annual survey of foreign policy attitudes in the United States and Europe, and oversaw GMF’s foreign policy grantmaking and programming. His background also includes academic expertise as executive director of the Council for European Studies and project manager at the Institute of War and Peace Studies at Columbia University. He is adjunct faculty at the Elliott School for Public Affairs at George Washington University and has written numerous books, articles, and policy briefs, as well as appears in the media regularly as a commentator on international affairs. Dr. Glenn holds a Ph.D. and M.A. in sociology from Harvard University and a bachelor’s degree from Oberlin College. Sung joins the USGLC from Feed the Future Knowledge Driven Agricultural Development program, where he managed the publication process for the Feed the Future’s annual Progress Report. He was previously Assistant Director for Global Agricultural Development Initiative at the Chicago Council on Global Affairs, where he led the Initiative’s outreach and research efforts on global development and food security issues. He holds an undergraduate degree from George Washington University as well as two graduate degrees from the Maxwell School of Citizenship and Public Affairs at Syracuse University in public administration and international relations. Zach joins the USGLC after holding several internship positions at nonprofits in DC, including at the World Affairs Council – Washington, DC. Zach recently graduated from Occidental College, where he received his bachelor’s degree in diplomacy & world affairs, and history. While at Occidental, Zach studied abroad in Freiburg, Germany, and additionally conducted research on U.S. engagement in international organizations. Zach is originally from Tucson, Arizona, and is excited to be living in DC once again. Zach joins the USGLC from a congressional campaign in Ohio, where he oversaw foreign policy for the communications team. Prior to his campaign work, Zach completed internships at the U.S. Department of Agriculture and The Chicago Council on Global Affairs, working on teams dedicated to global food and agriculture, Middle East policy, and government relations. As a student, Zach chaired the International Policy Program at the University of Chicago’s Institute of Politics, served as a Fellow in the Office of Undergraduate Admissions, and studied abroad in Vienna, Austria. He holds a bachelor’s degree in political science from the University of Chicago and is a proud native of Salem, Oregon. As Director of External Relations, Melissa oversees the USGLC’s fundraising and development operations, including membership and corporate and foundation partnerships. Melissa also leads the engagement and stewardship of the USGLC Board of Directors. Melissa’s background is primarily in political consulting and fundraising, with over ten years of experience raising money for Presidential and Congressional candidates. Melissa previously served as Director of Development for MedStar Washington Hospital Center where she was responsible for overall fundraising strategy and execution, and before that as Director of Development for the National Jewish Democratic Council (NJDC). Melissa graduated from Rutgers University with a bachelor’s degree in political science. Melissa lives in Montgomery County, Maryland with her husband Matt, daughter Lucy and son Jacob. Dana joins the USGLC with over ten years of non-profit management experience. Most recently, Dana served as a managing consultant for then-Governor Nikki Haley’s One South Carolina Flood Fund where she developed the protocol to manage and distribute funding to the disaster relief organizations. Dana was the Executive Director for the JDRF (Juvenile Diabetes Research Foundation) Palmetto Chapter in Columbia, SC for over seven years, where she was responsible for the geographical growth of the chapter to include national advocacy, fundraising and events planning. Dana holds a graduate degree in international relations from the University of South Carolina and an undergraduate degree in Spanish from Wofford College in Spartanburg, SC. Dana lives in Alexandria, Virginia with her husband, Scott Fulmer, and two daughters. Meredith joins the USGLC from Schrayer & Associates, a DC-based political consulting firm, where she worked directly with clients to execute Capitol Hill Lobby Days and national conferences. Her responsibilities also included logistical and project management support on client projects ranging from strategic planning to meeting facilitation to grasstops advocacy campaigns. Prior to Schrayer & Associates, Meredith worked at Northwestern Memorial Hospital in Chicago managing a large portfolio of fundraising events and serving as the relationship manager to several support organizations raising funds for Northwestern Medicine. Meredith holds an M.A. in Media and Strategic Communication from The George Washington University and a B.A. in Communication Studies from Loyola Marymount University in Los Angeles. 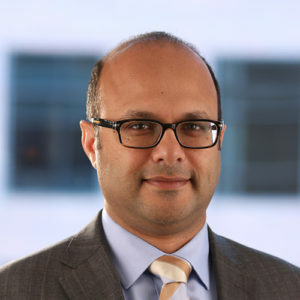 Dular Niyangoda serves as the Chief Financial Officer at the USGLC and brings over fifteen years of executive leadership experience in finance and operations. Most recently, Dular was the CFO for The Optical Society (OSA) where he led finance and customer service departments. His leadership experience across the for-profit and not-for-profit sectors includes strategic finance and budgeting, accounting, compliance, human resources, information technology and customer service. Prior to returning to the not-for-profit sector, Dular founded a number of businesses promoting sustainable organic products. Dular lives with his wife and two children in Washington, DC. Sarah Smithers joins the USGLC after working in various operational roles at Emily’s List, M+R Strategic Services, and other organizations. 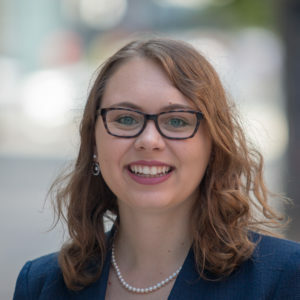 She recently received her master’s degree in political science with a concentration environmental politics and policy analysis from Appalachian State University. She completed several internships while in school, one at the Water Infrastructure and Resiliency Finance Center within the U.S. Environmental Protection Agency and another with Genworth Financial. A native of Raleigh, she is excited to explore all the wonderful things DC has to offer. Katya Mordhorst joins the USGLC after working as a Deputy Court Clerk in Colorado. She recently graduated from Appalachian State University with a bachelor’s degree in criminal justice with a concentration in international studies and a minor in political science. Katya completed a study abroad trip to Finland and Russia, where she focused on comparative justice issues. Prior to graduating, Katya completed a semester-long internship with the North Carolina 30th Judicial District’s Guardian ad Litem Program, where she provided direct advocacy to abused, neglected, and dependent children in court. Katya is a proud native of Western North Carolina, but she is excited to be working in the nation’s capital.